1. 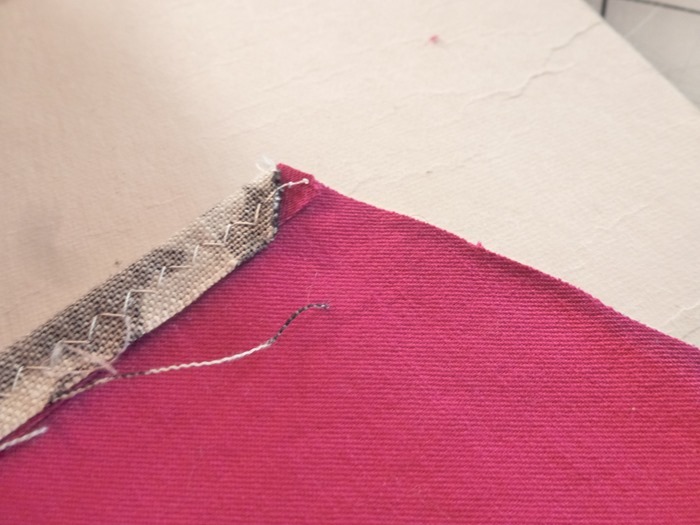 Stitch your outside collar seam – that’s the one that does not eventually get attached to the neckline. On the Goodship it’s the long, straight edge. 2. Press your seam allowances to the under collar side of your collar – that’s the part that doesn’t show unless you flip up the collar in quintessential 80’s style. On the Goodship, it’s likely a contrast color. 3. Stitch those seam allowances down to the under collar. 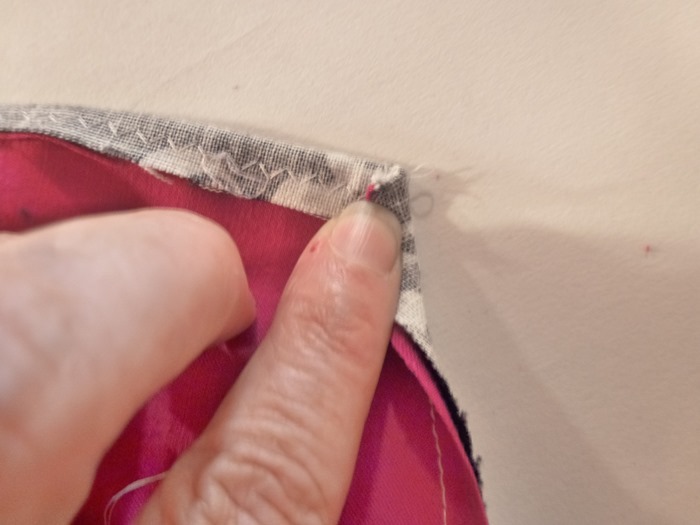 I like to use an even zigzag stitch (see below) at about a presser foot’s width away from the seam. 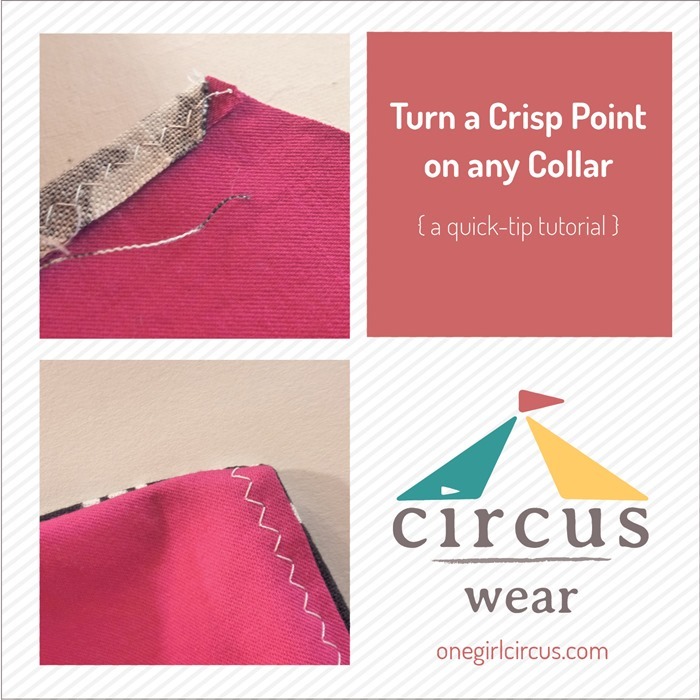 You don’t have to trim this on the Goodship collar. 4. Fold the collar right sides together, then sew your collar side seams – the short sides on a regular collar that do not form the neckline. 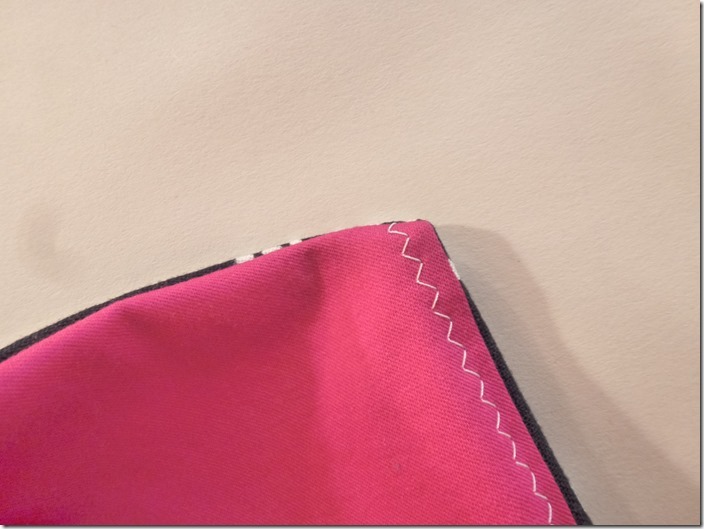 Goodship collar has two curved side seams. 5. 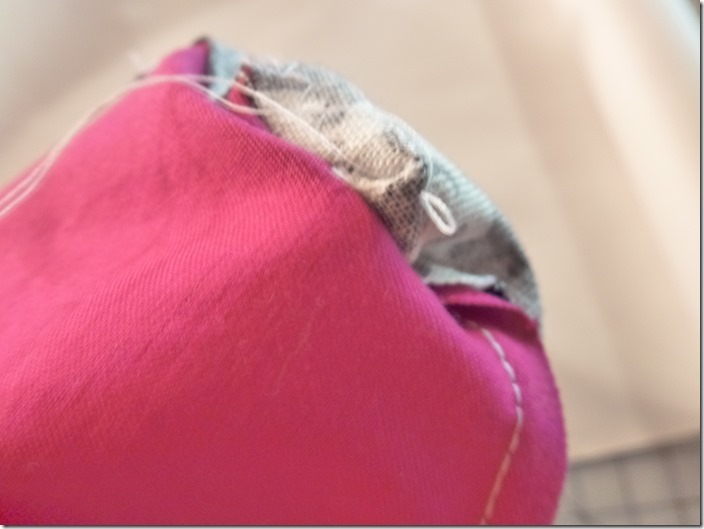 Clip the curviest part of the side seams up to, but not through, the seam you just sewed. This might seem strange, but do not clip the corners. 6. 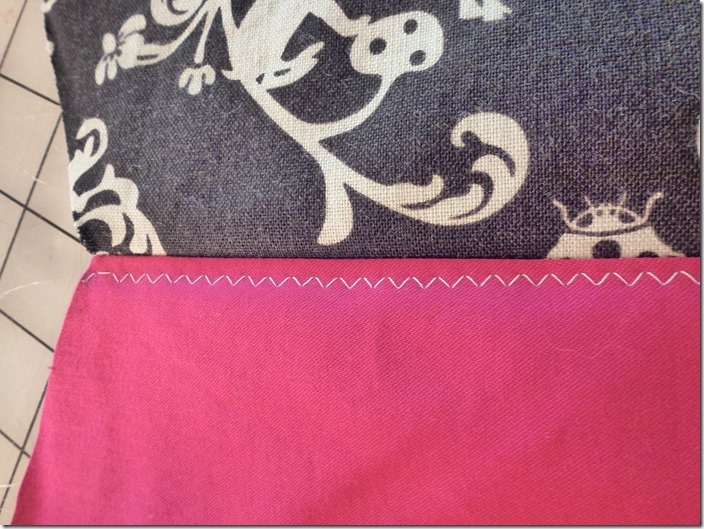 Fold the side seam allowances over the understitched seam allowance at the corner. This is not a right angle on the Goodship collar, but you don’t need a 90 degree corner to have a crisp corner. 7. 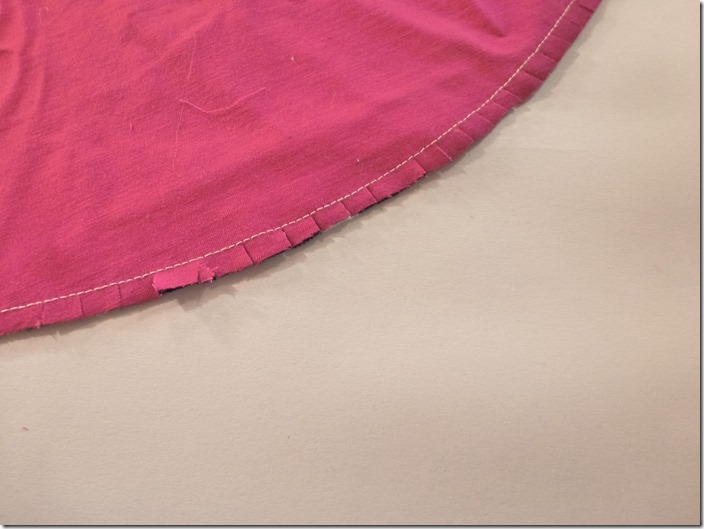 Press your collar wrong sides together, smoothing out those curves side seams (As you can see, I didn’t make it to that step yet), then admire your beautiful collar point. It will stay lovely once you press it, because that nice fold is holding everything in place. I hope you get a lot of use from this quick tip. I know I use it every single time I sew anything with a corner! I love Nancy, too. I’ve spent many happy hours watching. I didn’t catch this one, though, so thanks for sharing it. I don’t make collars any more, because I find them uncomfortable and unflattering, but I’ll be doing other sewing that would benefit from this. Next Post: I’m ready for December…are you?